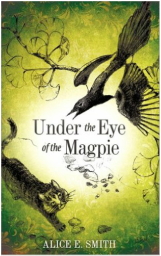 In this book, UNDER THE EYE OF THE MAGPIE, a class trip to an interesting island leads to special clues in a crime case. Could cats and birds also be involved? The kids in this mystery story discover that you can make a difference no matter what age you are. Learn more about South Korea, too! 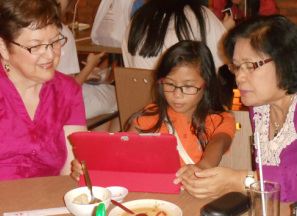 Alice E. Smith, M.A., is a retired international educator. She and her husband have lived and worked on four continents and have traveled to over 25 countries. Her family includes two sons, their wives, and eight grandchildren. In 2006, she received The Distinguished International Teacher of the Year award from the Lutheran Education Association. She has guided hundreds of students through the writing process to create books of their own through desktop publishing. In addition to reading, she enjoys traveling, playing the piano, and keeping in touch with friends and family through the Internet. A group of young adults from Jakarta are happy to get our books at the World Prayer Assembly in May 2012.